Thai opposition protesters are stepping up their campaign against Prime Minister Yingluck Shinawatra, after clashes with police left five dead a day earlier. 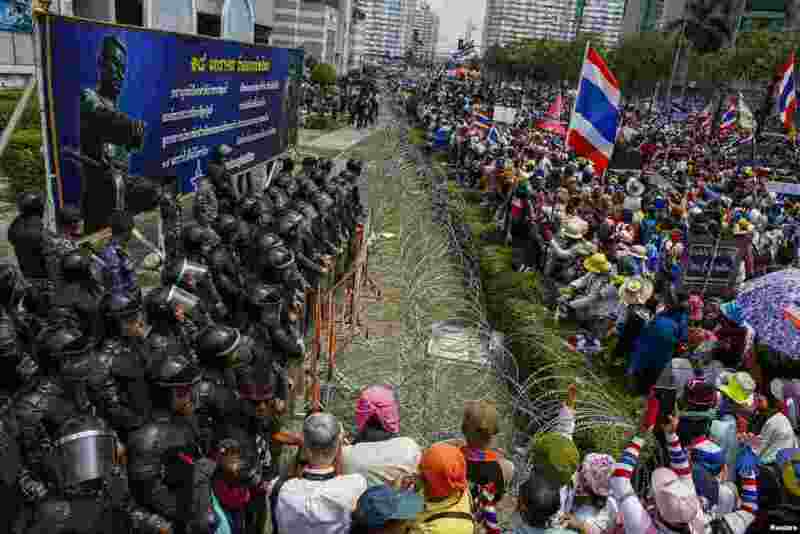 1 Anti-government protesters gather as Thai soldiers stand guard at a defense ministry compound serving as a temporary office for Thai Prime Minister Yingluck Shinawatra, Bangkok, Feb. 19, 2014. 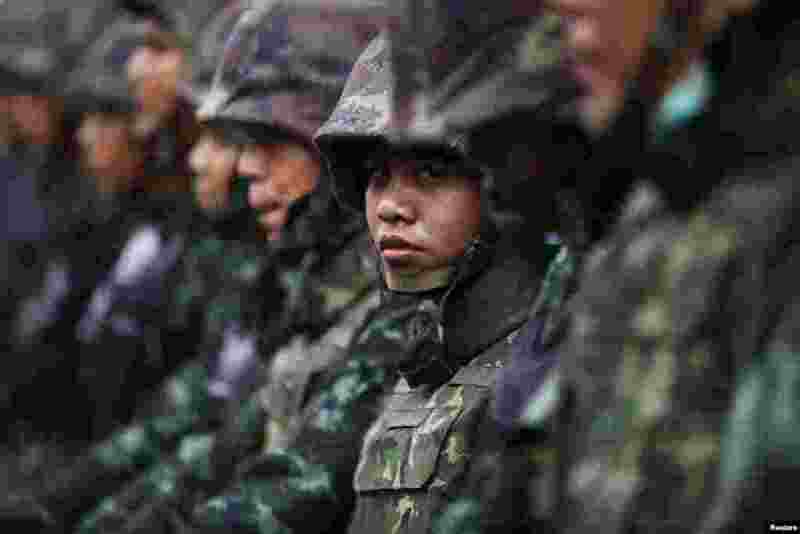 2 Soldiers stand guard as anti-government protesters gather at a defense ministry compound, Bangkok, Feb. 19, 2014. 3 Anti-government protesters shout slogans demanding Thai Prime Minister Yingluck Shinawatra step down during a protest outside her temporary office, Bangkok, Thailand, Feb. 19, 2014. 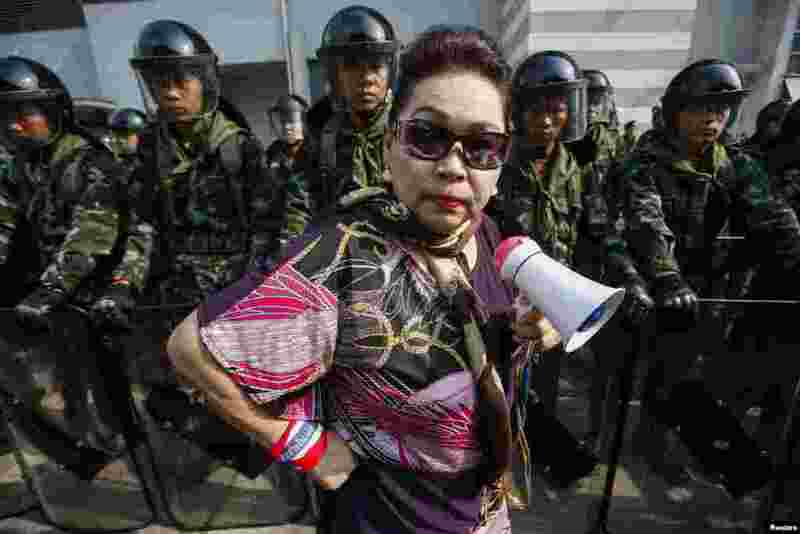 4 An anti-government protester stands near Thai soldiers guarding a defense ministry compound, Bangkok Feb. 19, 2014.